If you have an interest in business and are thinking about a future career in the field, than Future Business Leaders of America (FBLA) is a club that could spark your interest. 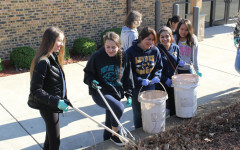 FBLA focuses on community service and competition. 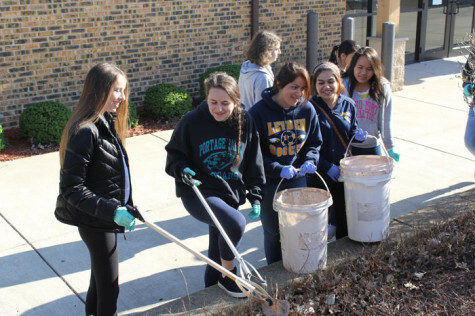 Being in FBLA teaches students “leadership and public speaking skills and this will help for college,” said Sally Lakdawala, who has been FBLA’s sponsor for the last two years. Competition is a big part of this club. There are over one-hundred competitions that are organized for students. “Students pick and choose what competitions they would like to participate in,” Ms. Lakdawala said. “No competition is mandatory,” so all decisions are made by the student. In each competition there is a regional, sectional and national ranking, with nationals being the highest. Kids are coming from all parts of the United States to compete in these competitions. Last year, sophomore Piotr Galuza went to nationals for business math. He said his skills that he had gained, like independence and leadership, helped very much while competing. Senior Natasha Lenhart wants to major in Business Education. With the skills she has acquired, such as public speaking, from FBLA, it will be an easier task to fulfill. Public speaking is also the competition that she participated in and almost made it to nationals. If you are interested in joining FBLA all you have to do is show up to the next meeting, and if you can’t do that, you can contact with Ms. Lakdawala for details as she said that new members are always welcome.